This review started with an assault upon me by Chris Owen. Well, that might be a bit of an overstatement; I should say that Chris has been a persistent man, catching me at every show I have attended and asking that I stop by to hear the systems he has displayed. I thought I might not hear much from Chris after CES 2009, where I told him politely but directly something he did not want to hear. He had me listening to his tweak, “Audio Pillows”, to see what my initial reaction was. As the system played, he deftly positioned the Pillows, then moments later removed them from the components. At the conclusion of the demo (my music) he asked my impression. I was fairly blunt, “…they do not pass my Law of Efficacy.” In other words, I could not hear a significant, clear distinction between their use and non-use. I could tell that he was not expecting that answer, especially in light of the previous listener who thought they were great. I pointed out that I would have to conduct a much more thorough test in my room to conclude definitively – but that I had no desire to do so. Chris seemed hurt by my words, which is why I thought he might not want to have much to do with me from that point on. How wrong I was, as Chris cheerfully corralled me at this past CES and urged me to hear a system with Clarity Cables and the Raven Studio Bard speaker. Rather than turn me away for a negative assessment of a tweak, Chris ultimately accepted my directness without offence. I was impressed by that and was happy out of courtesy to comply. I will share more about that momentarily. Manufacturers are a bit taken aback when I pronounce directly my being unimpressed by tweaks like the A.R.T. system which I demoed at RMAF 2009. The vivid Giya speaker system I was mightily impressed by; the wooden blocks and cups not so. Why not? I have reached the point in dealing with so many rigs, so many products that I have concluded I’m tired of wasting time with fairly ineffective things. I want serious, major changes, not nearly inaudible audio incrementalism! If I have to strain to hear the supposed change, it fails. If it has to be repeated over and over to demonstrate the effect, it fails. If it does a little good but costs too much, it fails. Seeking such minor adjustments to a rig only enmeshes the audiophile in that level of sound, forsaking changes which could bring monumental improvement at a much higher level of performance. 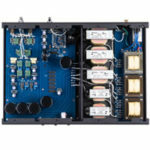 When such tweaks are tried and fail to elicit the desired amazement the audiophile is often fooled into thinking, “Perhaps my rig is at the end, the top level of performance.” Hardly; dozens upon dozens of levels of improvement, very meaningful changes, await the audiophile who doesn’t settle for less. In a dramatic contrast the Opamp rolling of the Eastern Electric Minimax DAC (see review) was another idea brought to me by Chris. He caught on quickly that I tolerate no subtle tweaks and brought me a clear winner. Rolling Opamps was akin to adding turbo to a small engine, an extremely efficacious improvement. I share this with you as I demand big improvements from cables as well. If I put a wire into a rig and it does little to improve things in one or two configurations, then there’s not much point in spending inordinate amounts of time with it. Perhaps you think I’m too impatient about system building. Maybe, but I am no longer inclined to spend years futzing with miniscule changes. I’m going to get my brand of “serious sound” and get it sooner rather than later; I prefer to spend the majority of my time as a fulfilled audiophile! Chris and Melissa Owen have been judging sound at car audio contests for the last 20 years. Chris regularly tells me that Melissa’s ears are better than his, but then five minutes later he’s discussing very nuanced distinctions in sound that only someone with acute perception would consider. I would suggest that if someone is looking for an industry mentor to educate on how to listen well, the Owens would be a good selection. Returning to the Clarity Cable room at CES 2010 proved to be a very good decision resulting in being moved by a system with monitor speakers, something which does not often happen. I tend to be a big speaker guy and I like a truly full range experience. I was taken aback by the scaled up, crystalline beauty of the rig. One thing I have come to learn hearing hundreds of systems at shows is this: You can wreck a good rig by using poor cables, but almost always if the system has fantastic sound, the cables are worth attention. Has that perception been verified in this review, in my room, with my gear? Absolutely; the great sounding cables I have found at showrooms and demos have sounded nothing short of stupendous with the systems I assemble. That may sound like boasting, but as we continue I think you will see that it is not. The excellent performance has to do directly with the nature of the cables. Harmonic Technology was a favorite of mine years ago, and it sounded good to my ear with a variety of gear. Wireworld has been a very fine product and I can nearly hear in my mind the influence it will have prior to assembling a system in a review. Clarity Cable can now be added to that list, and in its own particular ways it excels beyond the other two. I plan on discussing the aspects of Clarity Cable which make it a valuable element of an audio system. It is a bit ironic that products in audio are named with terms taken from nature, such as the Clarity Cable “Organic” line. There’s not much natural about ore being mined, refined, annealed, drawn and worked into various configurations along with dielectric and sheathing, not to mention the terminations. In one sense it’s anything but natural, as an electronic signature is impressed upon electronic processes which pertain to some music which is acoustic or natural. We wouldn’t have stereos if humans didn’t impose inorganic blueprints upon the natural world. Then again, audio is hardly the only sector of manufacturing where nature’s terminology has been pressed into service to human creativity. Witness the Saturn Sky vehicle, White Cloud toilet paper, Dawn dish soap, Summer’s Eve… well, never mind – a myriad of inventions and institutions named after plants and animals. It is a bit tougher to conceptualize the term “organic” when applied to sound. For instance, can a stereo playing electronic music sound organic? Can any stereo be organic sounding? Without pressing the philosophy of the matter too far, I believe some stereos sound far more organic than others. What are the qualities inherent in an “organic” sounding rig? It is worth pursuing that question in this article. 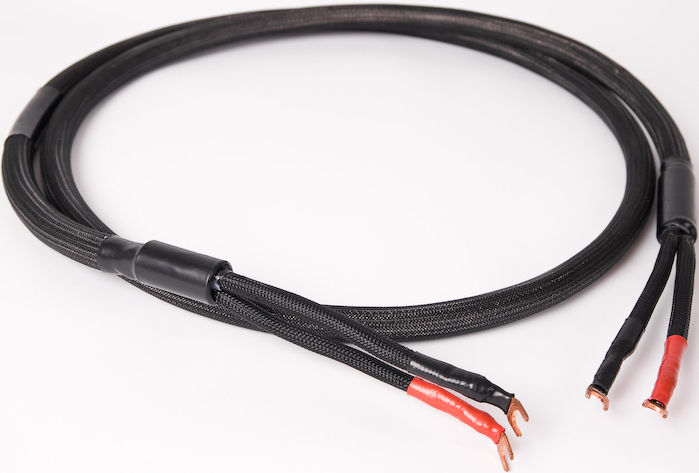 We begin with my assertion that Clarity Cable’s Organic series has been named appropriately. Clarity has its own reasons for its nomenclature, reasons I’ve been asked not to divulge. 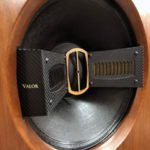 I believe that the company has pursued one of the most important facets of organic sound by putting an extremely high emphasis on clarity in audio reproduction. I am always on a mission to find a higher degree of clarity in high fidelity music. In fact, I like clarity in my listening so much that I take a contrary position to most audiophiles; I insist that a system cannot have too much clarity. Of course, other variables complicate cabling in audio systems including impedance, capacitance and inductance, which in turn influence timbre and dynamics. On the whole, I find that over the past 25 years or so that I have been in the hobby of music listening I have always pushed for more precision and purity in the sound, never less. It took a great many years of experimentation and system building to conclude firmly that clarity is not the issue when a system sounds too harsh – something else is wrong, typically the tonality or timbre. Detail and precision in a system are often blamed as the problem, when in reality these are never the problem. How they are influenced by other parameters of playback is the problem. A good example has been the progression of dozens of CD players I have owned over the years. As they have climbed the ladder of cost and capability, they have increasingly yielded higher precision and cleanness in sound. One of my favorite reference quality players, the Ayon CD-5, has beautiful detail and cleanness, such that it is very hard to go back and listen to any mid-level player at all, for they sound muddled. The finest players, unlike mid-level offerings, do not sound harsh because of detail. The sound harsh because they may have a lack of warmth, and/or because of poor speaker selection, and/or a white or clinical sounding amplifier, and/or an unrefined preamplifier, and/or cables with serious design flaws. However, this article is not about CD players, but cables, in particular the Clarity Cable brand. 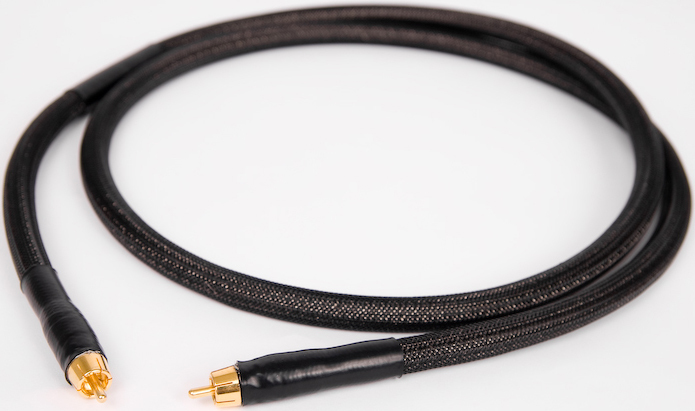 Clarity Cable is designed around the concept that bringing a higher amount of detail to a system is a very good thing. 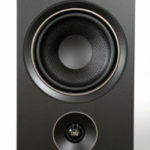 I have a very nice system, and I just bought a Vapor Audio Joule Black 2 set of speakers. They sound very nice and were tweaked to get the most realistic sounding music from the most music by the first owner, a professional musician. 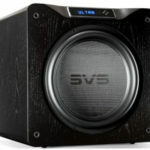 I also have a pair of VMPS RM40 BCSE MLS speakers. They are highly detailed, but can be a bit too much on poorly recorded music. For sure, the Vapors offer a more solid bottom end with great texture and potency. Doug, you are right about most philes having mid level cables. I have the double Teo ICs you recommended at Axpona last year. I know that the sound will improve with each level of Teo I upgrade to. The speaker cables I am using are Cerious Technologies Graphene Extreme plus a same set of jumpers. This allowed my RM40s to play deeper and made a nice improvement to the overall sound. I’m sure the Clarity speaker cables would do even more than the double Teos did for the ICs. I have no doubt that the transparency of the Vapors would make a giant leap up in quality at all frequencies. Doug, I know you also have a set of Joules and know what fine speakers they are. How big an improvement would the Clarity cable be over the CTGE I have? You have some beautiful equipment, and I’m sure the sound is captivating. In response to your inquiry, since I have not used the Cerious Technologies cables I cannot state how they would compare to the Clarity Cables. Also, there is not an easy point of comparison between interconnects and speaker cables. One simply cannot know the degree to which interconnects will change the sound relative to how much any given speaker cables can change sound. I do know the Clarity Cable Natural Speaker cable has a wonderful set of attributes and has been superb with many speakers. It seems to strike a very difficult balancing act between precision/definition and warmth/tonal richness. Finally, when you are working with mixed sets, you are doing your own “cooking”, so to speak, and have departed from the manufacturer’s house sound, which may be good or bad. So, I’m afraid you are traveling a path I have not walked, and thus cannot give you a definitive answer. However, I am gratified to hear that the Schroeder Method, the double IC with the TEO cables, has been a positive experience for you. It has been very successful in my system with different cables and components. An appropriate xo designer might be able to soften or flatten the above described peak by modding the OEM xo, but the cost is unknown. Brian Cheney eventually flattened the peak using a Behringer DSP/xo.